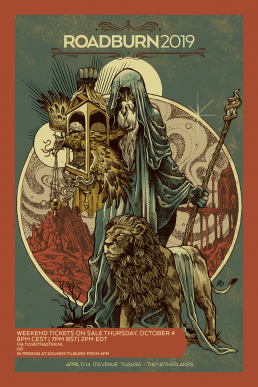 Roadburn Festival is proud to present At The Gates… as you’ve never seen them before! Whether you were there from those early Peaceville days, if you were lured by Slaughter of the Soul, or even if you only discovered them via their latest release, this year’s To Drink From The Night Itself – we all know what a colossal beast of a band we’re dealing with here. As discussions were held about At The Gates playing Roadburn it soon became apparent that they were dead set on doing something different; presenting the band in a whole new way. Details are still being finalised regarding exactly what the set list will comprise of, and just how those songs will be presented, but what we can tell you is that it’s going to be a must-see part of Roadburn 2019. At The Gates will also be performing at TivoliVredenburg, Utrecht (NL) on Saturday, February 2. “Anna’s form of expression goes beyond any kind of popular music in my mind. You just have to dive into that personal darkness of hers and give in to the grotesque beauty that is her very creation. The way she uses pipes organs, mellotrons, moogs etc, and builds drony soundscapes that really stretch the mind and create some kind of gothic folklore of its own. And on top of that, there is – of course – her haunting voice. 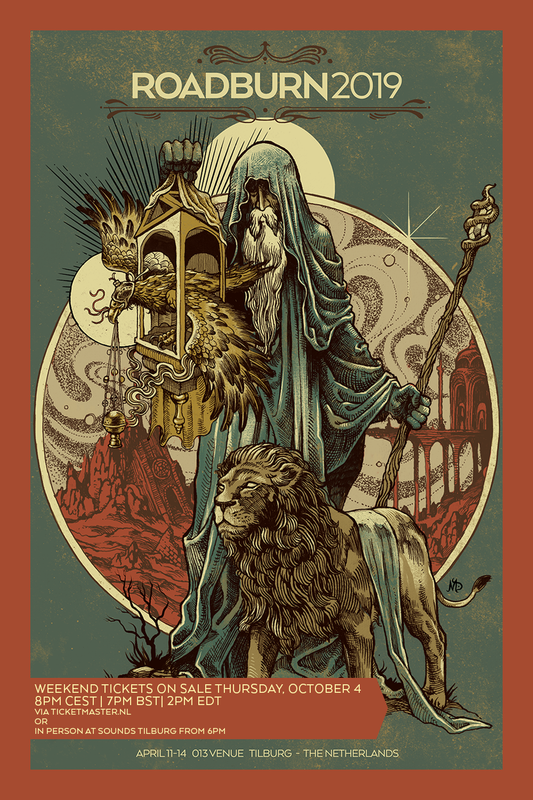 Weekend tickets for Roadburn 2019 will go on sale on Thursday, October 4 (day tickets will go on sale at a later date). They will be available to purchase in person from Sounds Tilburg record store (from 6pm) for those in the vicinity. For those further afield, tickets will be available from Ticketmaster.nl from 8pm CEST/ 7pm BST/ 2pm EDT. We recommend setting up a Ticketmaster.nl account in advance.